For years, the staff at TRR has interviewed hundreds of personalities. From A-list celebrities to upcoming local talent. We have given you access to the stars. Now, the tables are turned with our new segment called “Up Close”. Every month, we are going to feature a different member of the team to get their story – up close & personal. It’s a way to put the faces to the names who have delivered the news, reviews and interviews to TRR for the past ten years. There are some women who have a drive and ambition that seems unparalleled, Kyra Davenport is the kind of woman that keeps going and going until the job is done and done well. An Army veteran of 12 years, a two-time HBCU graduate, shout out to her Alma Maters Tuskegee and Howard, it’s a pleasure to have her on staff amongst her busy San Francisco schedule. When she’s not busy on a full time Communications/Journalism contract, she spends her time bringing yoga to the Oakland community and regularly interviewing celebrities. I first met Ms. Davenport after she had graduated from Howard University in 2013. At the time, she worked at the Pentagon as a Communications Manager for the Army chief of Chaplains. Kyra also spent years in the White House during the Obama Administration as an Independent Political Blog Reporter. For a 33-year-old woman, she has packed a lot in and she’s far from done! I consider it a pleasure to have sat down with a dedicated journalist who has an intense love for her craft and the community. Ms. Davenport, first off let me say I enjoy having you on staff here and I am so happy to see the resilience you have shown through your journey, tell us a bit about your recent move to California and some of the challenges that you faced. Thanks Dean, I find it therapeutic to discuss. I moved to L.A. in October 2017 on a dollar and a dream after having living in DC for almost a decade. I felt like I needed to close a chapter and begin a new one. The job hunt in L.A was tough. So I moved to San Francisco where I have enjoyed working in marketing and as a full-time publicist. In July, I had a downshift when I was raped by a man I was casually dating so as I chase my dreams here in California. I am healing from assault and using my experience to help heal others. Speaking of healing from your assault, a lot of people may not know you’re a Yogi! Yes, I am! Yoga has gotten me through so much and I want more black people to practice it mental health is not a given it takes effort on our parts, let’s heal together! My yoga journey began back in DC and actively teach yoga in the San Francisco Bay Area. What are your plans for your journalism career? Do you plan to further your passion for yoga? My ultimate goal for my writing in general is to be like Lena Waithe and Issa Rae and turn my Journalism into art. Keep it reachable and down to earth and allow people to be inspired and connected to my craft. With yoga, I would love to own a studio in the heart of Oakland, CA. 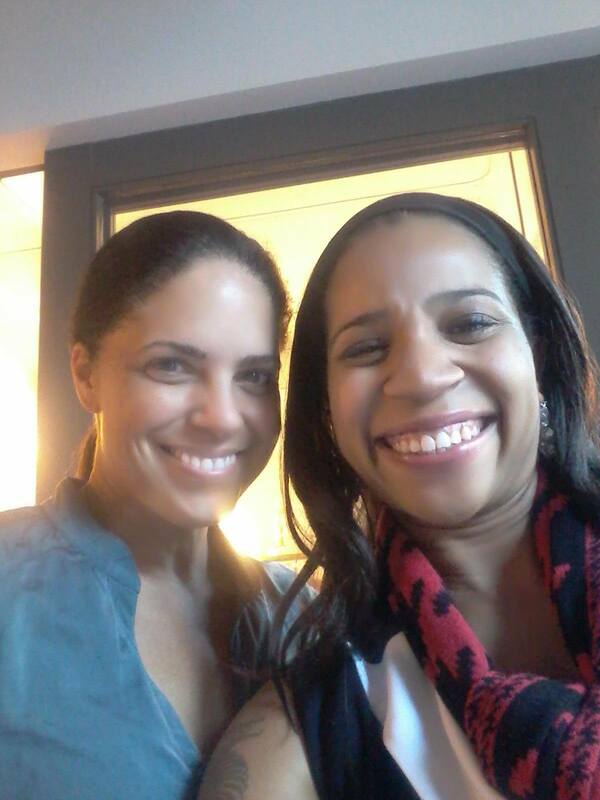 You have a long list of people you have interviewed including Soledad O’Brien, who do you plan on interviewing next? Lena Waithe is my ideal person to interview next she is doing a great work for the black community, she’s a genius. As a Journalist and a person of color, how do you feel about the recent news concerning the hate crime against “Empire” Star Jussie Smollett? My first concern and prayer as victim of assault myself is what steps will he take to heal from the trauma, I pray that he takes time out for himself to heal, he is strong and kind person and has a beautiful aura I met him in DC when the hit TV show “Empire” first became popular. So I know, he will use this unfortunate incident to help arm others against senseless violence and crimes nobody deserves harm for simply being black or gay. We live in a world today where people feel that they can harm people without any consequences, the justice system is still very poor we have a long way to go before we are at a place where people of color feel safe again. As a Journalist, we need more black people to tell our stories to talk about our pain and trauma and talk about how it is not all glamorous and people are really hurting. I want to see more black creatives, writers getting closer to the pulse of things the real issues and having a deep passion for helping others around use, we can be the systemic change we want to see. Let’s make this thing personal and save our communities.